Industrial trading and engineering firms such as China Engineers, Reiss Bradley and Andersen Meyer covered earlier in other articles played an important role in the industrial development of Hong Kong and the broader region as they facilitated the necessary technology transfer from the West by acting as importers and installers of state of the art equipment. In the 1950s and 1960s, Sze Hon-fai (施翰輝) and his sons built their Faithful Trading Co into a leading distributor of boilers, laundry and commercial kitchen equipment, industrial sewing machines and textile machinery not just in Hong Kong but across Asia with major industrial enterprises, hotels and hospitals as clients. After selling out to the Hutchison group in the early 1970s, they started a similar firm – Polytek Engineering which remains a key supplier of kitchen equipment in the Greater China region today. Sze Hon-fai, the founder of Faithful, was a native of Jinjiang in the Fujian province. He might have been an alumnus of Queen’s College in HK as he contributed to a Cantonese opera fundraiser to benefit the school alongside famous alumni such as R.C. Lee, Lo Hin-shing and Chung King-pui in 1951, the same year he founded Faithful Trading (although the firm was not incorporated until 1964). 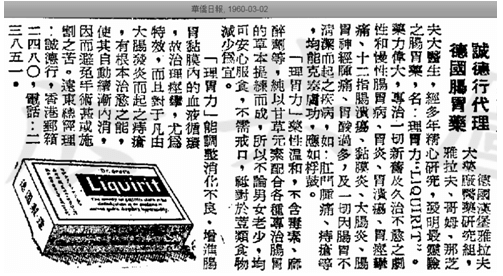 In 1938, he was listed as an employee of the trading house W.R. Loxley & Co.
From the two old newspaper articles shown below from the early 1960s, Faithful Trading also represented pharmaceutical and optical products from Germany and the US in its early years but by the mid-1960s, its focus had shifted to capital goods such as boilers and laundry equipment and Faithful Engineering Co Ltd (誠德機器工程) was incorporated in 1966 to provide installation services for these products. Sze Hon-fai was supported in his business by his four sons (in order of age): David Sze Chin-wah (施展華), Sze Chin-man (施展文), Sze Chin-chiu (施展超, 1930-2014) and Sze Chin-ting (施展庭). Of the four siblings, Sze Chin-chiu emerged as the leader first as managing director and later as chairman of Faithful. Faithful’s business had expanded outside of Hong Kong with branches in Taipei, Bangkok and Singapore. In Thailand for example, its clients included the Siam Intercontinental (built in 1964, since re-developed into Siam Paragon shopping mall) and the Ramathibodi Hospital (built in 1969) in Bangkok, which was the largest hotel and largest hospital in Thailand respectively at the time. To promote the concept of dry cleaning, the Sze family also established Minx Drycleaners (名士乾洗, incorporated in 1970 and dissolved in 1978) and Vic Dry Cleaning (域士乾洗, incorporated in 1967 and dissolved in 2004) to provide dry cleaning services using the equipment which they distributed. Another member of the Faithful group of companies was Shing Shun Express (誠信捷運), which was incorporated in 1970 and renamedShing Shun Engineering in 1974. In 1972, Faithful won a $3 million contract to supply and install kitchen equipment for the new Furama Hotel. 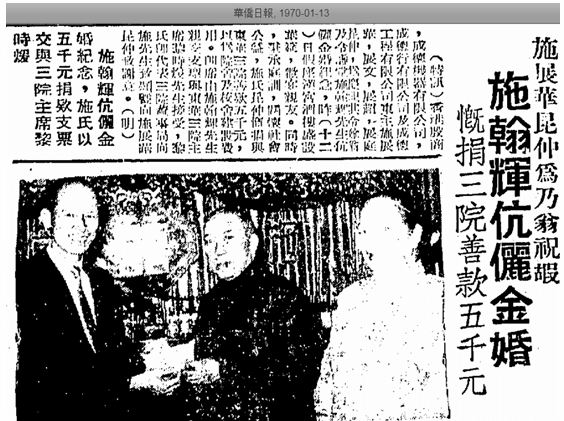 The firm also won the contract for laundry and dry cleaning equipment for the new hotel (Kung Sheung Evening News, 1972-12-11). The same year, Hutchison Boag – the engineering division of the Hutchison group under Sir Douglas Clague acquired Faithful Trading from the Sze family. 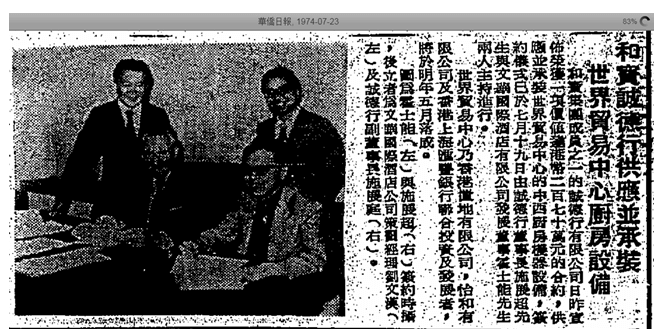 Sze Chin-chiu and Sze Chin-ting continued to run Faithful as a subsidiary of Hutchison for several years during which it continued to win major contracts both in HK and abroad.As a firm, Faithful Trading was dissolved in 1983 while Faithful Engineering was dissolved in 1989. 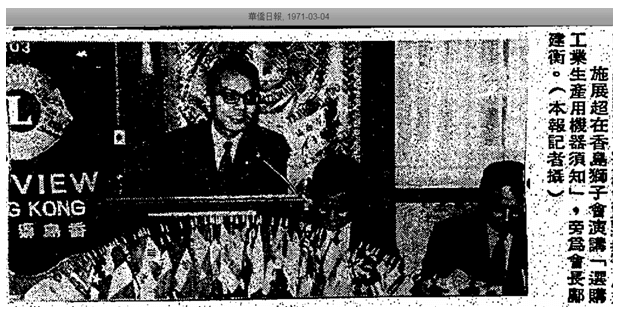 Sze Hon-fai passed away in the mid-1970s and the Sze brothers left Faithful in 1975 to establishPolytek Engineering with Sze Chin-chiu as chairman, Sze Chin-ting as managing director and Sze Chin-man as director. Over time, the Polytek group acted as agent for over 100 manufacturers in Asia, including firms as American Laundry, Fulton and Sussman whose relationship with the Szes started at Faithful,other boiler makers such as New Yorker, ROTEX and Cleaver Brooks, Hobart kitchen equipment, Milnor laundry equipment, Scottsman ice machines, Bobrick washroom accessories and Singer and Union Special industrial sewing machines. In the late 1970s, the group had a showroom on the ground floor of 67 Chatham Road in Tsim Sha Tsui. After China opened up in the late 1970s, Polytek entered the mainland market and opened its first mainland office in Shanghai in 1981. Its early wins in China included contracts for the Great Wall and Lido hotels in Beijing and by the early 1990s was involved in over 70 hotel projects in the mainland. (It also entered into a joint venture with the Goodyear group and China Travel Agency to build a hotel in Zhaoxing in 1980 by forming Polytek-Goodyear Enterprises but the project was abandoned in 1981) In 1985, Polytek established Yutek, a custom stainless-steel fabrication factory in Guangzhou. It also established two manufacturing joint ventures in Guangdong province with American firms it represented – one with Bally to manufacture modular insulation panels for refrigeration equipment in Sansui and another one by the name of CASTIC-SMP in 1986 with Multimatic and the state-owned CASTIC to manufacture dry cleaning machines in Shenzhen. In the early 1980s, Polytek supplied equipment to the 62 Seven-Eleven convenience stores in HK which just commenced its operations and entered the Singapore market in 1983 where it worked on the Parkview Holiday Inn hotel. In 1984, Wearnes Brothers of Singapore acquired 40% of the HK-based Polytek Engineering Co Ltd for HK$35 million, which was based on 8.5 times earnings for the year ending March 1984. After the deal was completed, Sze Chin-man left the firm while the other two brothers stayed on.Polytek injected its operations in Singapore, Malaysia and Australia into a new entity called PolytekWearnes (保得温) which was eventually listed on the Sesdaq exchange in Singapore in 1989. In 1993, Wearnes Brothers acquired the remaining shares it did not own inPolytekWearnes from the Sze family and it appears that the same year, Polytek HK became a part of the Magusta Group controlled by the Liang family of HK Macao Hydrofoil and remains a leading distributor of kitchen and laundry equipment in HK, Macau and China. Polytek Engineering in Singapore remains a subsidiary of Wearnes (which is now part of United Engineers) and distributor of laundry equipment and boilers in the region. Outside of business, Sze Chin-chiu had served as director of the Tung Wah Group of Hospitals and South China Athletic Association and permanent honorary chairman of the Tsim Sha TsuiKaifong Welfare Association. His sonKyran Sze (施家殷)is an architect (served as managing director of Aedas’ HK office) and real estate developer (through KYSS Properties) and currently sits on the board of CASTIC-SMP. This article was first posted on 23rd November 2018.